The Soft-Lite Elements window is the company's top-of-the-line replacement vinyl window and often considered one of the best vinyl windows on the market. It is one of the nicer looking vinyl windows on the market as well. Soft-Lite spent quite a bit of money in the research and development on their top two windows, the Elements Series and Soft-Lite LS windows. Standard features include triple UltraSmart weatherstripping, an Integral lift rail, a stainless steel coil balancing system, high quality fusion welded corners and seams, the Kevlar reinforced fiberglass meeting rail, a one piece sloped sill, and a cove-mould frame design. The Soft-Lite Elements Series can be ordered in a number of different glass options, including the low-e, Ultra and Ultimate glass packages. Consumers can choose from two interior frame colors (white and beige) and five interior wood grain laminates (maple, brazilian cherry, cherry, medium oak, and light oak). The window also comes in 15 exterior colors, including some rather bold color choices such as Royal Brown, Forest Green and Bronze. The Elements model can be ordered as a casement, double hung, picture, slider, or awning - the same options available for the Imperial LS window. Consumers can expect to pay $----- for the Elements window itself. (We cannot list any prices, please click on the link below for more pricing information.) Comparable windows include Okna 800 windows prices and Sunrise Restorations windows cost. The Soft-Lite Elements window receives the AAMA Gold Label for superior performance rating. 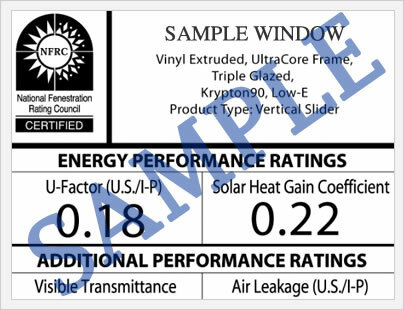 This includes a DP or design pressure rating of 70 and an air infiltration of .01 (this is the lowest number you can get in terms of AI, only the Okna 800DX window gets this AI rating for a non fixed frame window). The Elements, with the standard low-e glass should deliver a U-factor of .27, .29 SHGC and .39 VT.
With the upgraded Ultra glass package, consumers can expect a U-factor of .18, SHGC of .17 and a VT of .31. This performance data comes from the National Fenestration Rating Council, which posts window and door performance data for consumers and industry experts alike. The Elements warranty is transferrable one time. In order for the transfer to apply, the new owner must complete a transfer card and pay a nominal transfer free to. 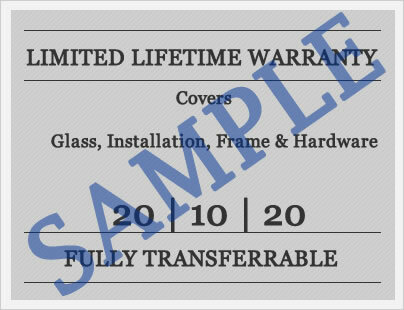 Like all warranties, there are exclusions and limitations that apply so we urge consumers to read the warranty fully before they purchase. Have a Soft-Lite Elements review to share with other homeowners who may be considering this top-of-the-line replacement vinyl window? Submit your reviews here! I have not yet seen the Revere Revere Berkshire Elite nor the Elements by Soft-lite. Your review mentioned that Revere Berkshire Elite is comparable to the Soft-lite Imperial LS. We need to replace our Pella casements from 1986 and will be need about 30 windows...ugh! I would be happy to go with double hung to save money but I need the lowest air infiltration possible as well as good sound proofing as I live on a busy street with lots of traffic. My house is always dusty, dirty and noisy. Tomorrow I am planning to go to Pal Aluminum,Inc in Hicksville, NY. This was the only place I have found that are supposed to carry Revere windows. I would appreciate any advice and your thoughts on which windows are better. I haven't been able to find the sound transmission ratings either. Thank you very much! Jan while the numbers are similar, as far as I'm concerned, the Soft-Lite Elements is the MUCH better of the two windows. If it were me and the prices were anywhere similar, I would opt for the Soft-Lite over the Revere. I know some online reviewers are big proponents of this window, but you may want a third party opinion. Type this in in google "site:www.replacement-windows.com revere berkshire" and it will be bring up all posts where a number of independent contractors discuss different brands. This is a great site for research.